I am having a 3 day sale, because I have become relatively unavailable to my listeners lately and because June is my personal Mother’s Day month; therefore, each individual item (sold separately) in my website store will be $3 off the regular price for the first 3 days of June 2015. However, “Protection & Power” will get special treatment. 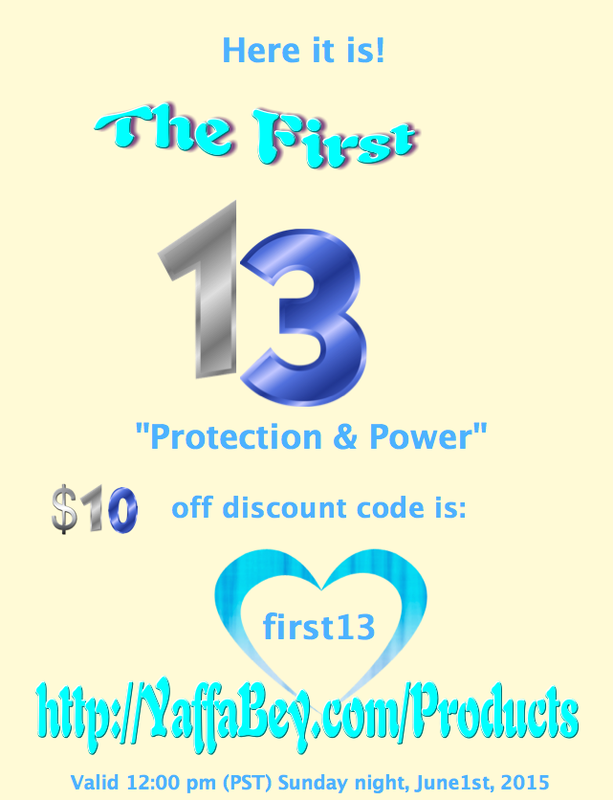 The “Protection & Power” webcast will receive a much deeper $10 discount for the first 13 buyers, but once those first 13 discount slots are utilized, this particular item will revert to the 3offall $3 coupon discount code for the remainder of the 3 day sale. I have never put EVERYTHING in my website store on sale before and will probably never do it again. 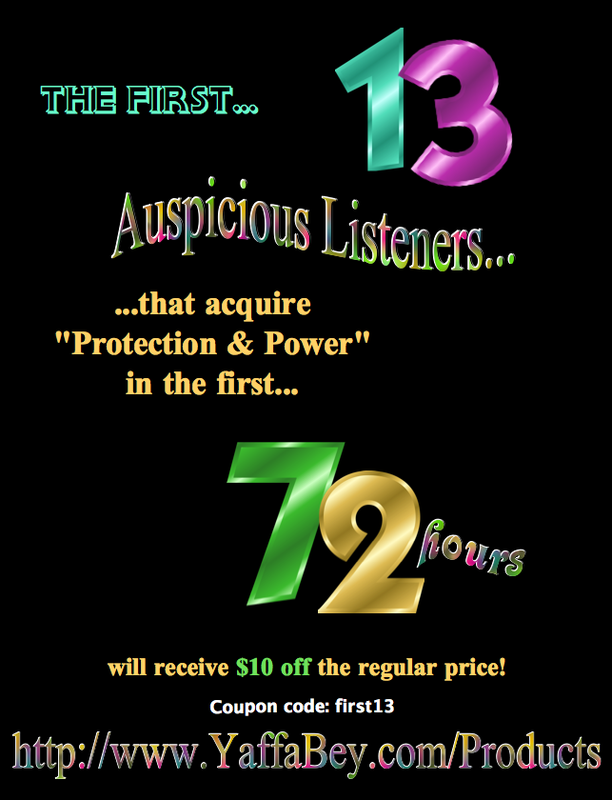 So, make sure that you have the special $10 discount code to become one of the first 13 listeners to buy “Protection & Power” at $51.95 instead of the $58.95 that comes with the 3offall $3 discount code price. One is not required to register for Facebook to see my page, because I set it up to be viewed by everyone in the general populace. The “Protection & Power” code will be available no later than 3:00 am California Pacific Standard Time (PST) on Saturday, May 30, 2015, but the code for $3 off each item purchased separately is 3offall. IMPORTANT NOTE: To get a discount off each individual item, one MUST buy them separately! Otherwise, if you acquire 3 items in one shopping cart, then you will only get a discount off one of the three items and the other two will be regular full price! So, use your coupon codes wisely and purchase your items separately, because I would prefer to not spend my day rectifying buyer errors. 1) Make sure you’ve entered your e-mail address at the white ghost face image. 2) After entering your discount code, hit the update button. 3) After hitting update, click the purchase button below your name, because it takes you to PayPal. Hitting checkout will keep bringing you back to the checkout page. 4) Look for the new discounted price above your name near the coupon code, because the checkout field will still show the original price. You will see the discount price at PayPal’s website prior to making payment. If not, then please feel free to contact me. One more thing. My website files were designed to download to computers. If you are using a cell phone, or tablet, then you must be sure that it is set up with sufficient storage space and proper players to handle AVI video files and MP3 audio files. Otherwise, you proceed at the risk of incompatibility.